Lightweight and perfect for good thermal insulation. 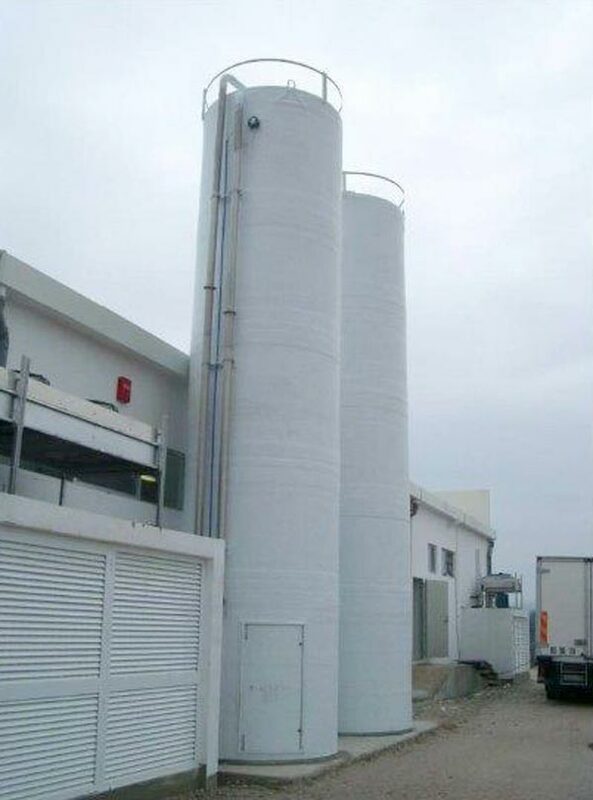 High mechanical strength and good thermal insulation, built in a circular cross-section with self-supporting skirt, these silos do not require particular maintenance. Available in a single modular unit, built with crossed filaments with anti-static mesh. It is completely waterproof and resistant to atmospheric agents. Fully hygienic, with a high level of preservation of the raw material in accordance with the food standards in force. Discharge opening designed for application of a vibrating bottom measuring from Ø 600 to Ø 1,200 mm.